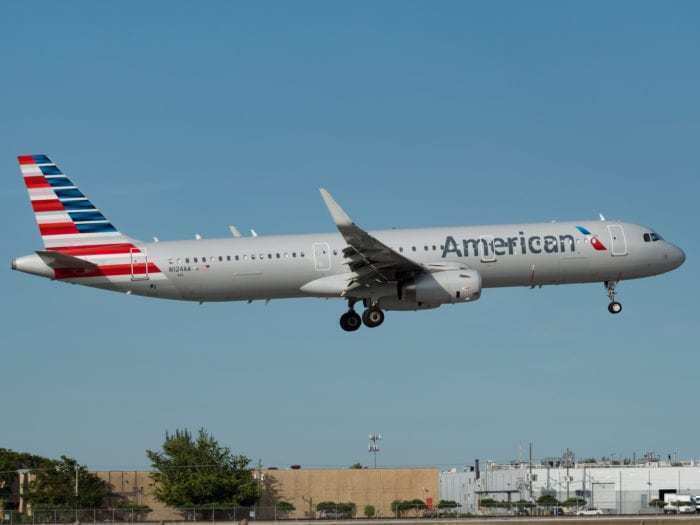 An American Airlines flight was forced to take an unexpected diversion due to an issue with the bathrooms. 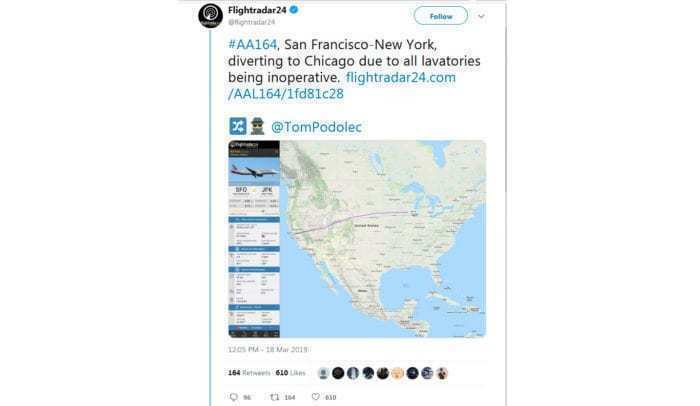 Flight AA164 was travelling from San Francisco to New York City on Monday when it had to divert to Chicago when the bathrooms were found to be ‘unusable’. The American Airlines flight departed San Francisco at 11:10am EST as planned. 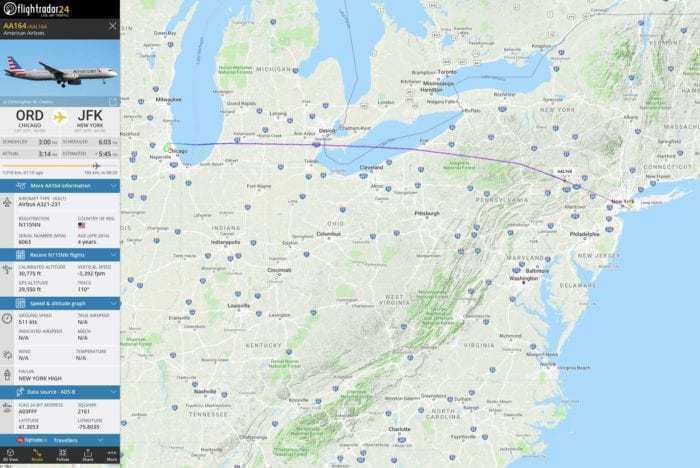 It was scheduled to arrive at John F. Kennedy International Airport in New York City at around 4:36pm EST. However, towards the end of the flight, the Airbus A321 had to divert to Chicago when the bathrooms were found to be unusable. First reported by flight tracking website Flightradar24, the aircraft was grounded for around 45 minutes while maintenance was undertaken. Flightradar24 reported the flight diversion, sharing updated route information via Twitter. Photo: Twitter. The flight left Chicago O’Hare International Airport (ORD) at 4:14pm EST, arriving at its destination just over an hour late. Is a diversion really necessary for bathroom problems? Although it was only a short flight, American Airlines were absolutely right to land the plane to inspect the problem. Regardless of what the cause may be, it could be a signal that other plane facilities may also not be working correctly. Taking precaution to ensure the safety of the passengers is essential. While any delay on a flight is frustrating for passengers, it’s always better to be safe than sorry. At least they weren’t half way across the Atlantic at the time. Flight AA162 was serviced at O’Hare International Airport before continuing its trip to NYC. Photo: Flightradar24 Twitter. Although we don’t know the cause of the bathroom issue, the aircraft was returned to normal service following the incident. No other issues were reported, and all 74 passengers arrived at their destination safely.